The blog is being migrated and merged with multiple Imphenzia blogs so the format and content will be inconsistent for a while. Field recording is fun but also challenging. A while back I posted a comparison of microphones and stereo techniques. 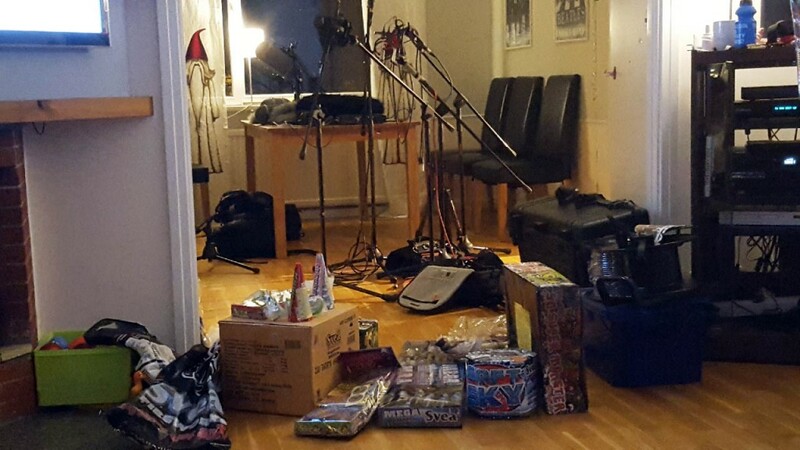 I thought I would add some details about the day I recorded that material which was on new years eve when I decided to give it a go to record some isolated fireworks going off. I purchased an assortment of about $400 worth of consumer rockets and shells. The day before recording I needed to find a location. 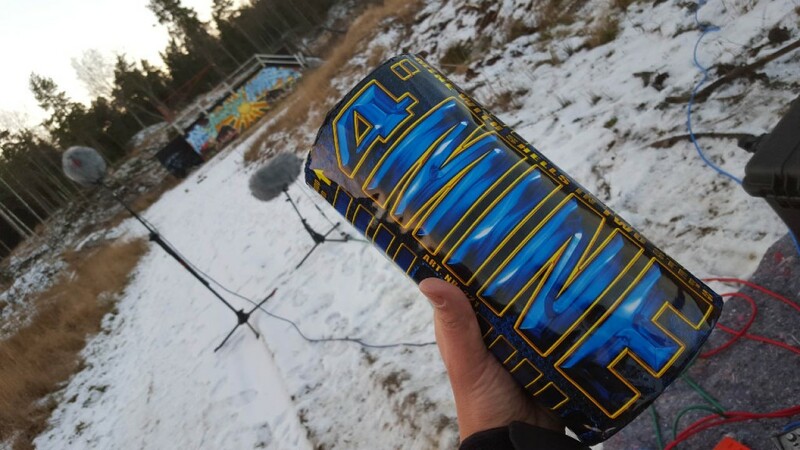 Setting off fireworks in Sweden is restricted to new years eve unless you have specific permissions so I wanted to take advantage of that and record it when most people were expecting fireworks to go off. 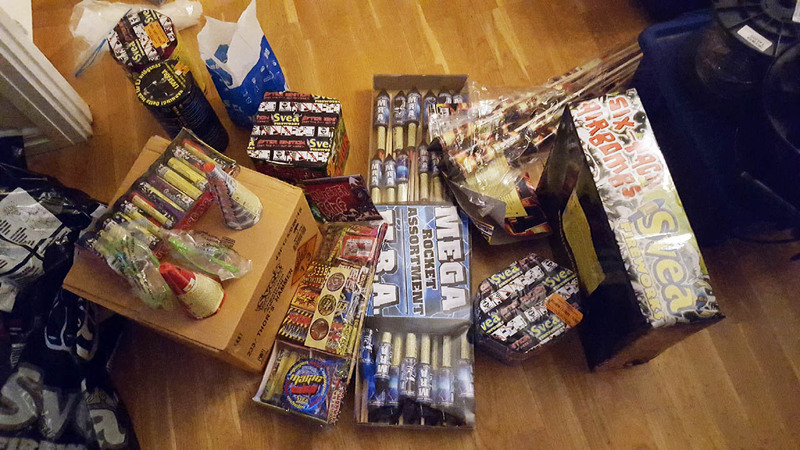 I had purchased a fair amount of fireworks that would take some time to set off, I expected it would take a couple of hours or so I wanted to find a place that was far away enough from residential areas but still accessible by car. I knew of a location a kilometer or so away from the main road, pretty far away from any residential housing. It's near a motocross track where I ride in the summer, there is also a race track for "folkrace", and a little strip where people fly remote controlled airplanes. There's a mud road leading into this place and I remembered scouting that location a year or so earlier. Back then it was late autumn/early winter, it was snowing and it was nearly midnight. That time I had a sedan car and my wife and three kids were in the car and we got stuck =) My wife had to push while I reversed, but that's a different story. 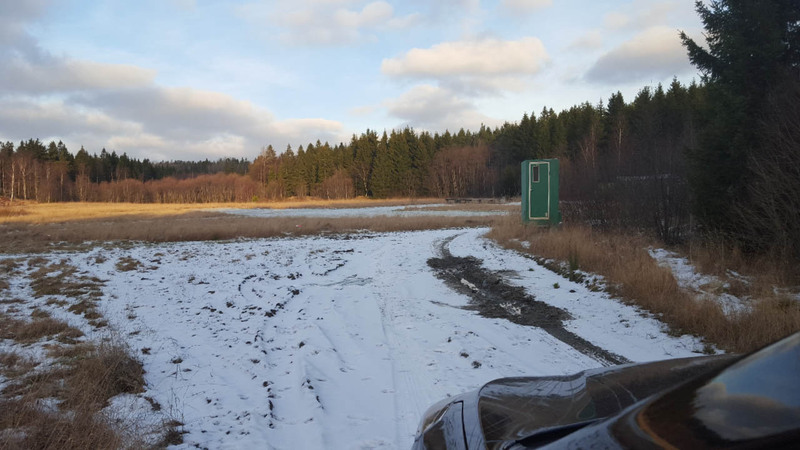 Anyhow, this time I was there in a 4x4 car, it was during the day, and it was not snowing. 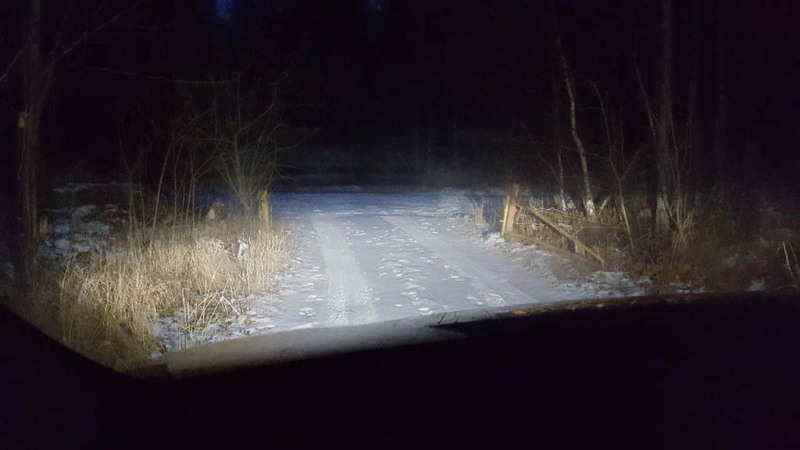 Still, I hit a weak spot of ice cover and wheels sunk into the mud, but this time it was no problem reversing out of there. I had found my location. Now it was time to prepare for the next day. 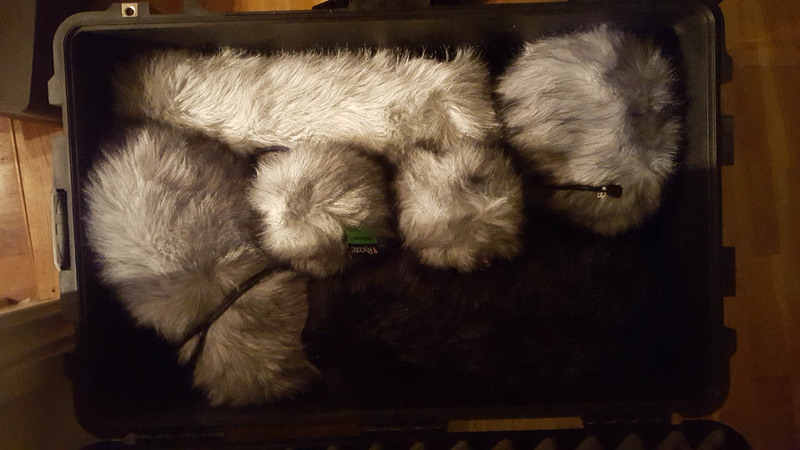 Pelican case to pack the microphones in. Look, it's a box full of dead kittens! I should learn that prepping always takes longer than expected. I started about 8pm, and I think I went to bed at 6am. I picked up a friend of mine who would help me out to light the fireworks as I focused on the equipment. We unpacked everything from the car and it took about an hour to rig it all. I rushed off leaving $30'000 worth of equipment and my friend in the remote location driving off to the nearest petrol station to buy new lighters. I bought 5 of them before hurrying back. 20 minutes of precious time was lost in an already tight schedule. Finally we got started. My friend burned his finger setting off the second rocket so he was out of action. Pictures were taken for all the fireworks that was set off to document the sounds. 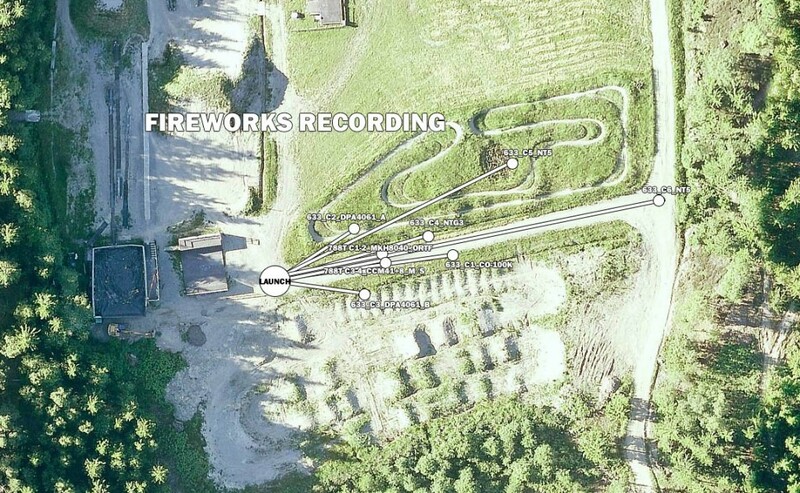 I ran back and forth setting of rockets and shells returning to the recorder location to make sure levels were OK not to clip any audio data. Setting off fireworks, recording 10 channels of audio into 3 recorders/mixers, ensuring appropriate gain and levels are set for optimum audio, making sure all settings for bit depth / recording frequency / and limiters is configured correctly, documenting everything that is going on, is quite a challenging and stressful thing to do. You don't want to come home only to find out that quality settings were wrong, tracks were muted, or all the audio is clipping or recorded too low. Not when investing time and money to record in the single day of the year when it is legal to do so. The video speaks pretty much for itself in terms of how everything was set up, the settings I used, and how the recording session went down. It compares what the different microphones in their different perspectives and with their different characteristics captured. The video also contains a section where the audio is played back at greatly reduced speed. 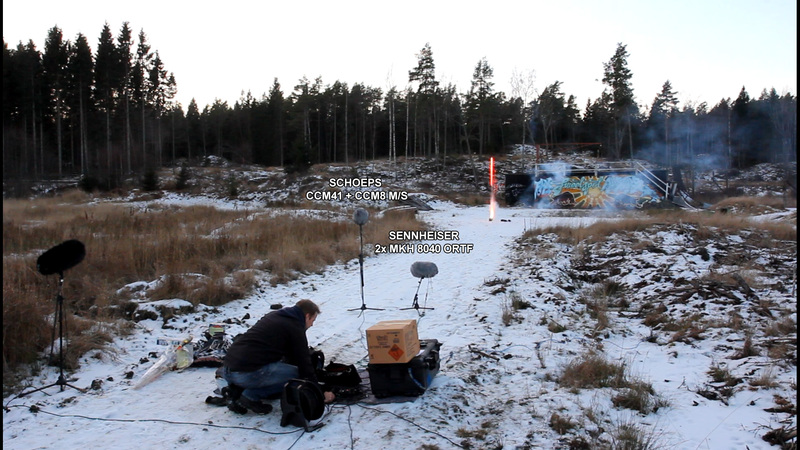 I use fireworks recordings to create all sorts of explosions so pitching down the sound while maintaining high quality is very important to me. Hence recording at 192 kHz which in most other applications would be overkill and unnecessary unless you plan to warp the audio the way I do. Over all I was thrilled with what was captured. 8 out of 10 channels had what I consider to be very good levels. Most of the fireworks that were set off were captured cleanly and I got hundreds of excellent launches, rocket explosions, and shell explosions. 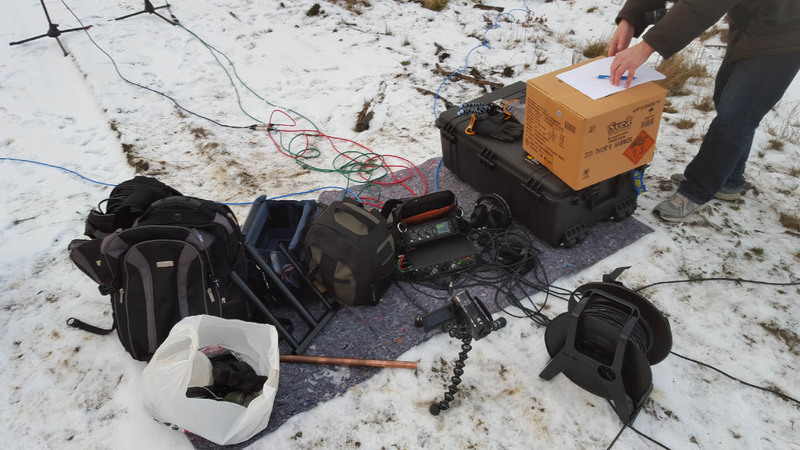 Over all the equipment was well organized and I had planned mic distances, recorder settings, and channel inputs in advance making it possible for everything to run as smoothly as it did. Plan more time for prepping cables, recorder equipment, etc. Do it at least 2 days beforehand and don't leave it to the last night. Test everything, including and maybe especially new stuff that may not be audio related but oh so important. In my case the two lighters that were essential do set off the firework that did not work despite being brand new. Give myself more time by starting earlier to set up. It got unnecessarily hectic considering I had to pick up my friend who lives 40 minutes away and then return, etc. Don't set up recorder location among the microphones. Since I had to light the rockets and run back I had to run back right to where the microphones were so some launches were spoiled by footsteps. I kept breathing under control, however =) If my friend would have been able to set off the rockets and step to the side in another direction, this would not have been a problem - but having to set it off myself it became a much bigger problem. Don't leave plastic bags by the mics. The wind caught them at times which generated noise. Prep exactly which items to launch in what order and prep with printed sheets to tick off and write recorder file as you fire off each item. Warn friends even more than I did how long something like this takes. And how cold it can be. Once we packed everything up it had gotten dark and we left the location. I drove my friend back home to his then I rushed back to my family to celebrate new years eve together. I could not help myself so I also rigged the 4 microphones on our roof while I set off fireworks with the kids in the garden and I kept the microphones running to capture some nice midnight fireworks going off in my neighborhood.